I'm hunting for a new pair of sandals this spring. A comfortable sandal with a small heel, 2"-3," would be ideal. I'm open to any stylish design, except one with an ankle strap--not a flattering look for me. As for color, I have no particularly one in mind--just not black. And lastly, I don't want to spend more than $125, if possible. Too demanding? Well, I began to search online this week and found a lot of great styles. I haven't settled on a pair, but thought I'd share 7 sandal trends (in bold green) for 2015. If you like any of the sandals featured here, but not the color shown, click on the photo to see what other colors are available. For example, the Women's Bella Vita 'Leona' Slingback Sandal, Size 8 M - Blue, 2 1/4" heel ($89.95) comes in several different colors, including a jazzy black and white. They're back! 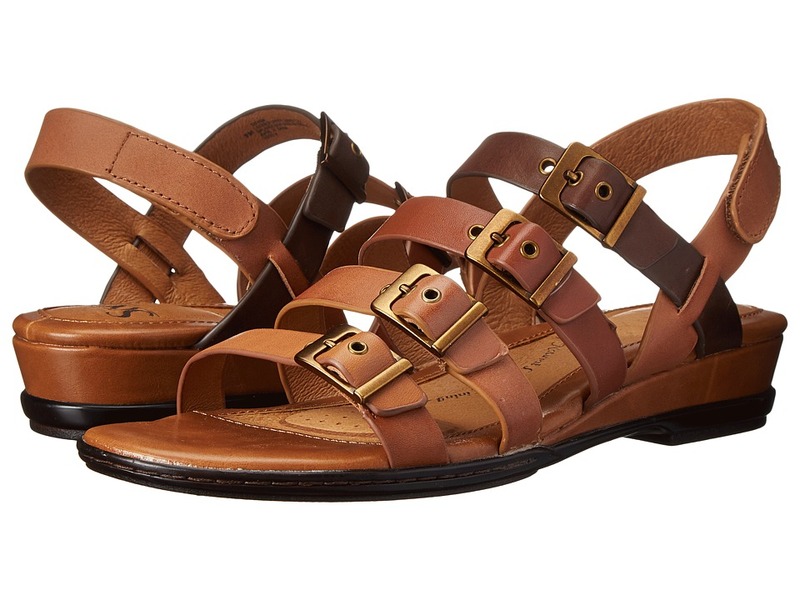 If you bought a pair of gladiator sandals last year, you're all set for spring 2015. Gladiators and caged-style sandals (as well as just about any strappy-style sandal) are trending once again. 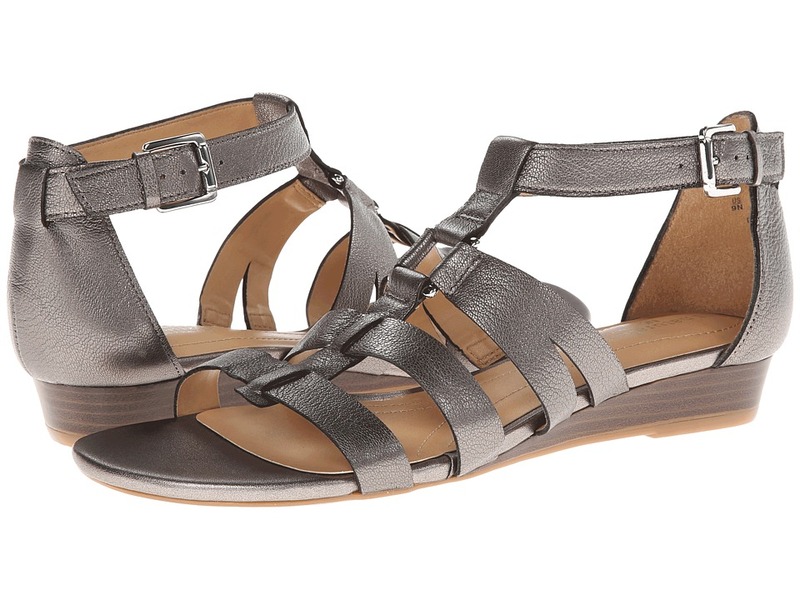 Metallic sandals are another hot sandal trend for 2015. I'm seeing gold, silver and bronze sandals everywhere. This first pair has TIE-STRINGS in the back. Sandals that tie are trending this spring as well. Over the years, I've bought a lot of Aerosole shoes, especially sandals. My feet love them. While I prefer the sandal designs in leather, a patterned faux leather like this Aerosoles Brasserie Sandals ($59.95) might work. It certainly keeps the price reasonable. Really? Wedge and platform sandals are a hot trend? Haven't they been around forever? Well, the fashion world is calling them a 'trend,' so I won't argue it. There certainly are a lot of wedge and platform designs to choose from. Animal prints are another style that's hard for me to call a 2015 trend. However, they apparently are and you'll find lots of examples this spring. If you've followed the fashion trends for spring, you've probably heard that designers felt it was high-time to revisit the 70s. I'm not sure why. Anyway. 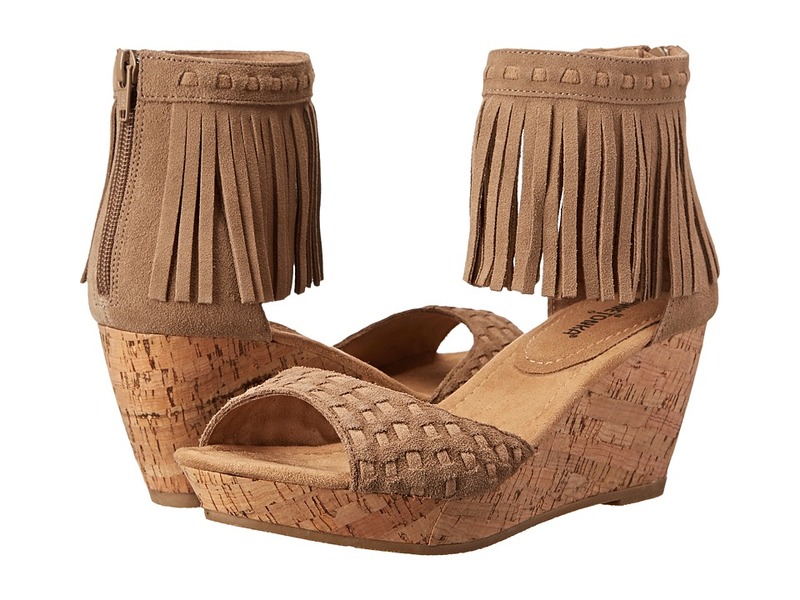 Sandals with 70s-flare include those made of suede and/or fringe.